Calendars 5 does a great job planning your day, week and month. User experience was crafted to give you the most from using it on both iPhone and iPad. 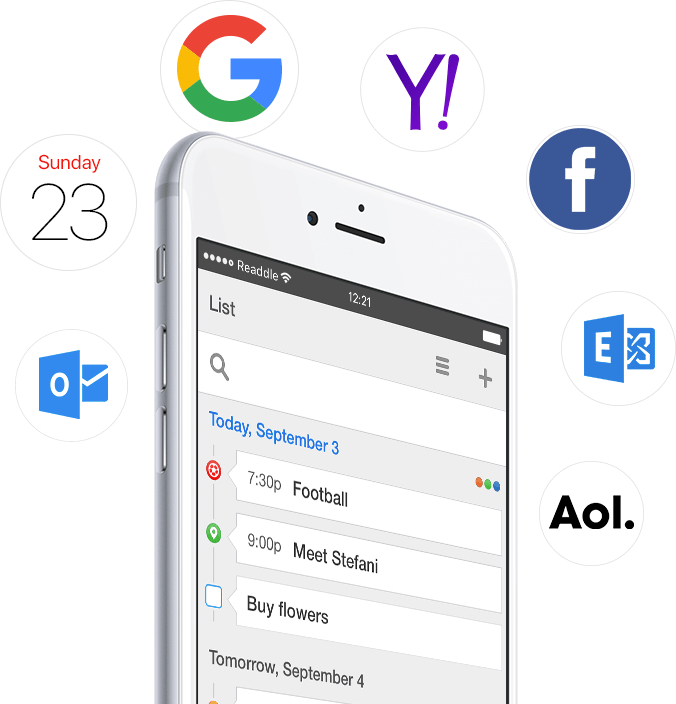 Calendars 5 is an impressive iPhone calendar app that looks terrific, offers easy-to-use features, and works equally well on iPhone and iPad. In a few taps connect to your Apple iCal, Google Calendar, Exchange, Yahoo, Facebook, Outlook and AOL. Enjoy super intelligent natural language input. Want to meet John at Starbucks at 4 p.m.? Just type that, and Calendars 5 will create the event, with the right location and contact. 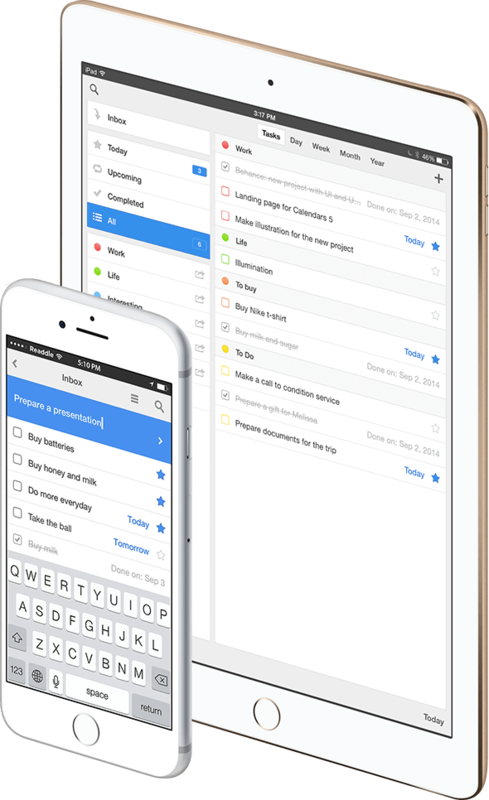 Organize your work tasks, movies or shopping list. Add due date or assign them to someone. Calendars 5 will gently remind you in advance to get it done. 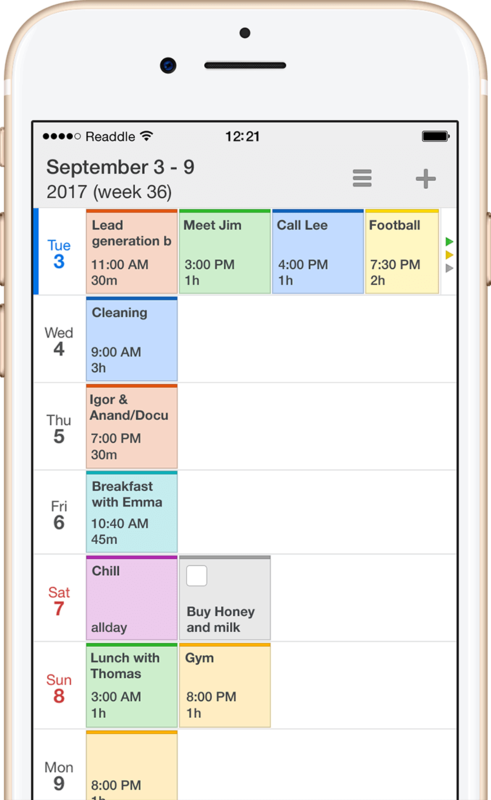 We have a powerful iPhone calendar app on our hands here – meetings, locations, notes, tasks…everything under one roof. Just drag and drop your tasks and events to reschedule an appointment. You can do that both online and offline. Or, ask Siri instead. Some events are happening regularly - like visiting gym or Spanish classes. Create a an event that repeats every week, month or even every 3rd Tuesday of a month. Whether it's a business meeting, family dinner or a birthday, set up up to five reminders to be notified by alarm or an email in advance. It's a super reliable Reminders app, too. 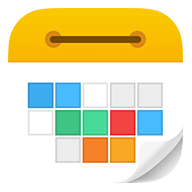 For those looking for a well-rounded planner to replace the iOS Calendar, Calendars 5 is an excellent choice. This is, by far, the best iPad calendar app I've ever used. 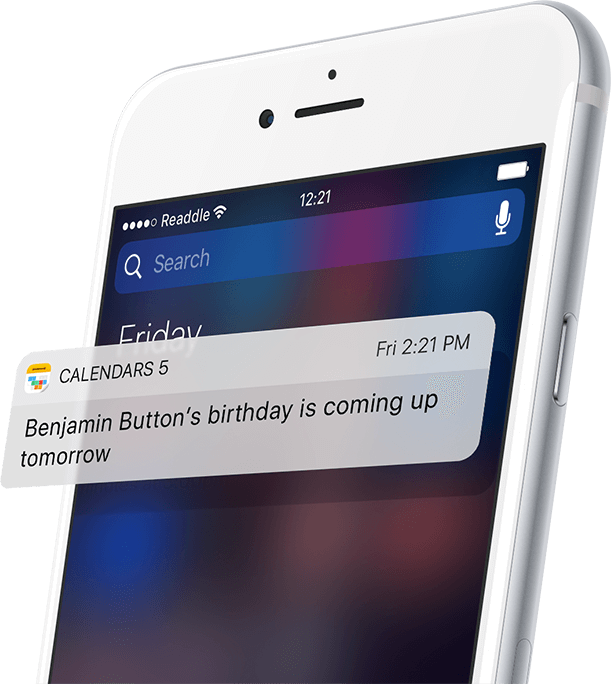 Readdle's new iOS smart calendar app packs a punch, supporting Google Calendar, Tasks, Reminders and more. Сalendars 5 is an impressive calendar app for iOS that looks terrific and offers easy-to-use features. Calendars gets close to being my ideal iPhone calendar app for the current state of calendar and Reminders clients. 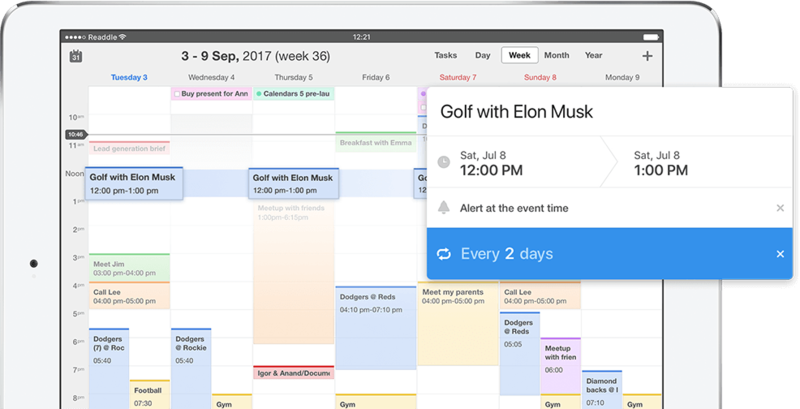 When it comes to combining both task lists and calendar events into one, Calendars 5 currently does it best.